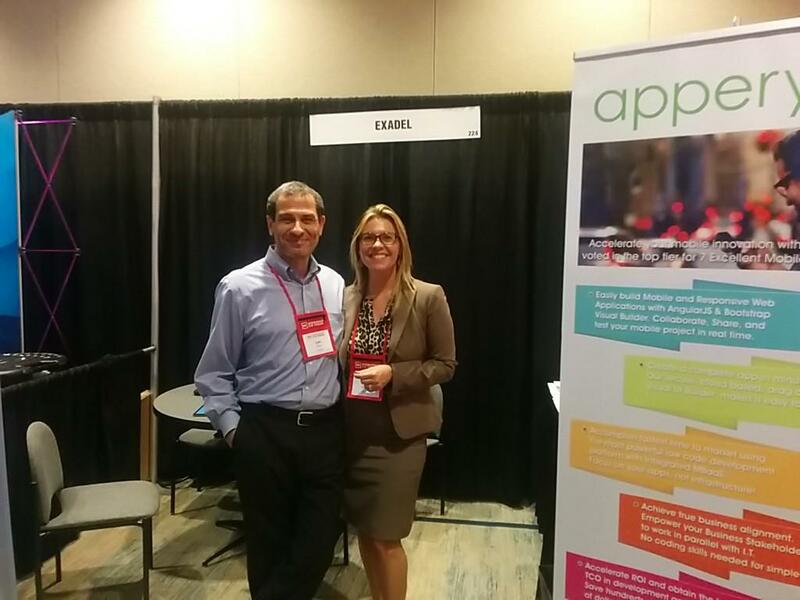 Appery.io’s Niki Scherer and Max Katz, and Exadel’s Lev Shur recently participated in the BE Mid-Market CIO Forum in Orlando, Fl. The forum drew over a hundred forward-thinking CIOs and executives from across the country to network and discuss best practices for the challenges that enterprises are experiencing. Top areas of discussion included security, mobile, and how to build flexible systems for changing environments. Appery.io was welcomed as a new contender for meeting the app development needs of the enterprise as a solution that is cost effective, sustainable, and secure. Check out the Exadel blog and the Storify album to learn more. We recently announced that we have worked with MetaCert to provide a security API to enable our developers to protect their apps from malicious and unwanted links. The API allows you to check the reputation of web links in real time, providing an invisibly secure experience. It can be used to block phishing sites from loading or navigating to. You can also stop end users from sharing links that are NSFW. To make it even simpler to use the MetaCert Security API, we have published a MetaCert plug-in. Appery.io developers can quickly add the plug-in to any new or existing app and check for the reputation of any web links in the app. To read the whole article, simply subscribe to trial account with 451 Research here. Join us in sunny San Diego, CA, for the M6 Mobility xChange Summit. Exadel’s Fima Katz will take part in a CEO panel discussion on “What It Takes To Build Apps That Matter.” Topics include: What tools are required? Do you need mobile app development platforms, mobile middleware, MBaaS, analytics or other types of tools? Learn about the event and how to apply for an invitation here! Read the rest of the article, and learn how to keep BYOT out of your mobile strategy here! Stay tuned to our Plancast for all of our upcoming events!